The Fathers of the Sacred Hearts, in close collaboration with other partners, want to keep the modern and inspiring legacy of Father Damien alive via the Damiaan Vandaag project. Damiaan Vandaag takes cares of Father Damien’s material and immaterial heritage. The Damien documentation and information centre and the Damien archive in Leuven save, collect and open up the Damien heritage to a wide audience. Damiaan Vandaag spreads Father Damien’s values (inspiration, openness, dialogue, hospitality, respect, solidarity and commitment) through contemporary society via educational offerings for schools and youth groups, moments of inspiration and contemplation for young and old, and solidarity activities. Damiaan Vandaag wants to bring people together, inspire and engage them, across borders in the spirit of Father Damien. 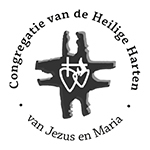 Damiaan Vandaag is active in the Damien centre in Leuven, in the Damien Museum in Tremelo and on location in schools, parishes and contemplation centres. Damien Foundation is a Belgian medical NGO that follows in the footsteps of Father Damien. We want to make a difference all over the world in the battle against leprosy, tuberculosis and leishmaniasis. These poverty diseases still cause fatalities today. Damien Foundation aims for a public health approach via partnerships with local governments, communities and civil society. By aiding operational research, we contribute to the improved care quality of tuberculosis and leprosy patients and to policy changes. Damien Foundation also provides long-term health care with specific medical campaigns and the social reintegration of patients. We raise people’s awareness in the North, and committed employees and volunteers perform fund-raising drives. Welcome to Tremelo, the birthplace of the Greatest Belgian: Father Damien. Tremelo is also the birthplace of legendary cyclo-cross riders. Most of all, it’s a beautiful, cosy municipality. Discover Tremelo from the Damien Museum on the Dyle River or from the Sven Nys Cycling Center on the Balenberg. Visit lovely nature reserves or our cosy shopping street. Leave Tremelo and explore hilly Hageland – a beautiful region for epicureans, walkers and cyclists. Toerisme Vlaams-Brabant is the coordinating body for the provincial tourism policy. The Province of Flemish Brabant, Toerisme Vlaanderen, the cities and the supra-local tourist-recreational organisations all participate. The aim of Toerisme Vlaams-Brabant is to develop and implement a tourism policy for the Province of Flemish Brabant. The promotion and marketing of tourist-recreational offerings in the two green regions (Hageland and the Green Belt) and the promotion and marketing of the art city Leuven is our priority.